Woot! These are great to have around in the car for a quick clean up! 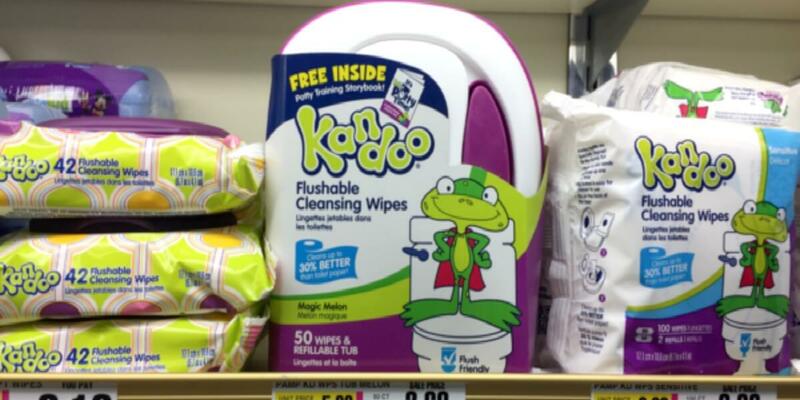 Through 5/20,, ShopRite have the Kandoo 50ct Tub Wipes on sale $1.24. We have this $0.50/1 Kandoo Product (excluding 42ct and 48ct) coupon available to print. You can score Kandoo 50 ct Tub as low as $0.24 after coupon. Great Paper Deals at Walgreens – $0.30 Per Roll Cottonelle & $0.60 Per Roll Viva Towels!